Thinking about hiring a photo booth? Here’s the top 5 reasons to do just that! 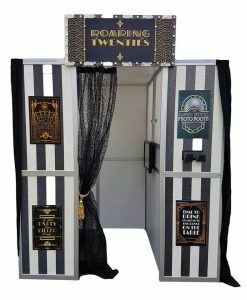 When you hire a photo booth from Quirky Photo Booths, not only will it make an immediate impression on you and your guests with it’s stunning quirky hand crafted exterior theme (whichever theme you decide upon) but it’ll also instantly print high quality photos which will last a life time. 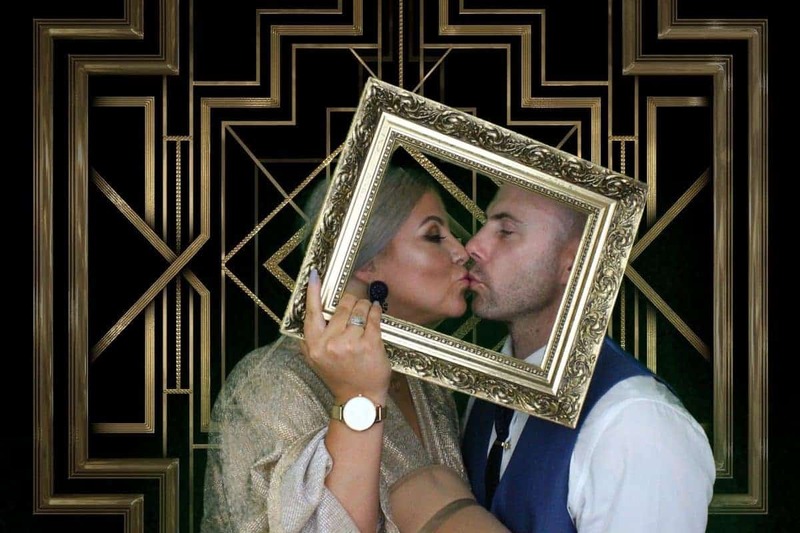 We also offer a guestbook option with some of our packages or as an add-on, the photo booths print two copies of each picture taken, so your guests can stick a copy into the guest book and write a message for the Bride & Groom or the event organiser! 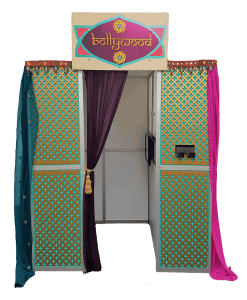 You Can Find The Quirky Photo Booth That Suits You! You have options! Quirky Photo Booths offer seven different themed booths! 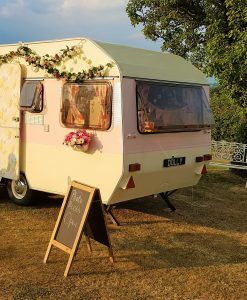 There’s the wedding options, typically Dolly the Vintage Caravan Booth or Our Mr & Mrs Indoor Wedding Photo Booth, but don’t let your imagination stop there. 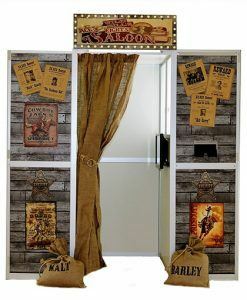 How about a Wild West Sallon Bar theme? 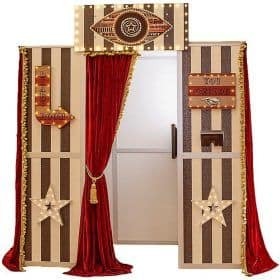 Or a Big Brother Diary Room? Have a look through the range and pick your style. One thing is for sure though, whichever one you pick it’ll leave a lasting impression on your guests and fantastic memories for you. You’ll notice every picture taken in one of our quirky photo booths contains a happy guest with a huge smile across their face. This is because it is simply a lot of fun. When you grab a prop (we tailor our props to your chosen theme) and step inside our booth and see yourself on our touchscreen interface you can’t help but smile. Then when the pictures are instantly printed, seeing the outcome set against your chosen green screen background is simply hilarious. Having fun is what an event is all about right? Photo booths live up to the expectation here! 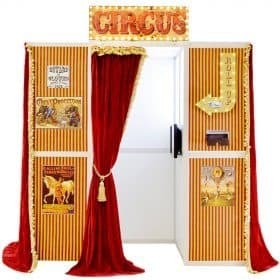 Often people who wish to hire a photo booth may incorrectly write off the idea, thinking they just won’t have enough budget to work one in. 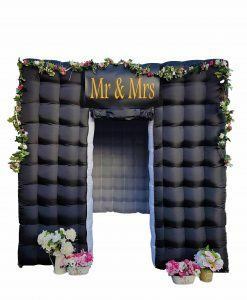 Despite all of the hard work that goes in to building a photo booth with quality craftsmanship and the investment for fantastic equipment at Quirky Photo Booths we’ve made sure we can accomodate every budget. We have several packages, starting from just £250! You can tailor your package to suit your budget, and you may find it isn’t as expensive as you thought! 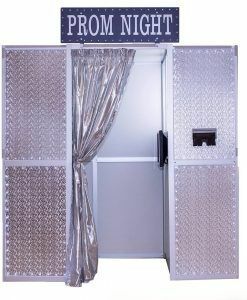 I may have mentioned already that we have SEVEN different themed quirky photo booths available to hire? Well that means we’ll have something to suit any event. We’ve hired photo booths for weddings, birthday parties, retirement parties, celebrity events, bar mitzvahs, prom nights, discos, graduation parties, corporate events – you name it! It’s great for team building and relationships. 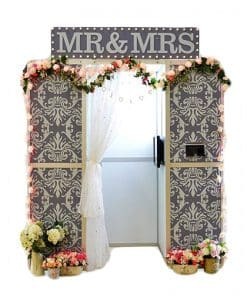 When you get 6 people together in our photo booth all with beaming smiles and a copy of the picture they can keep forever it creates a bond, and that’s something people will remember and associate with your event and you, our customer! Thanks for taking the time to read this blog, please go ahead and share and take a look at our website www.quirkyphotobooths.co.uk!